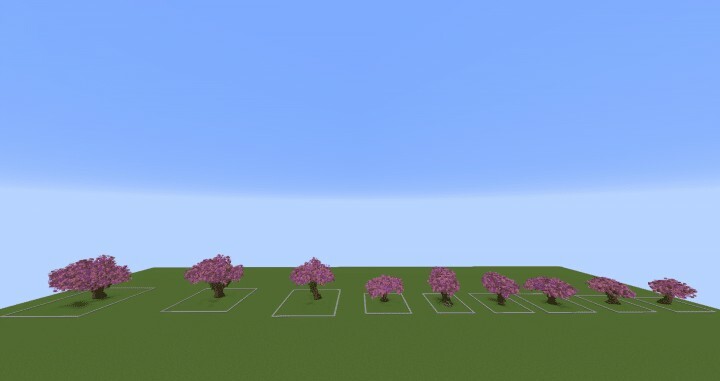 This amazing and beautiful pack is full of 9 cherry trees. 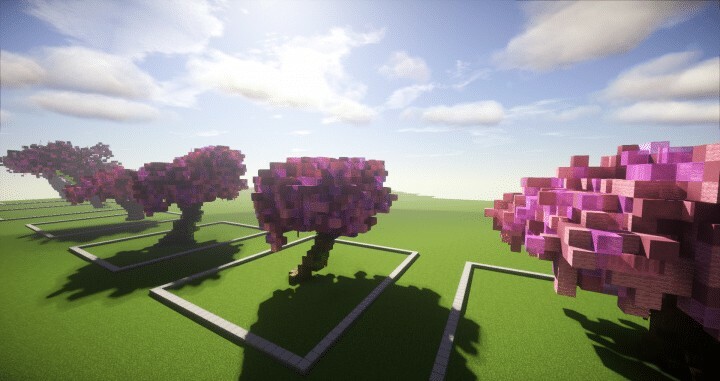 This project started out as a pack Nico__ was building for a friend and ultimately decided to release it! 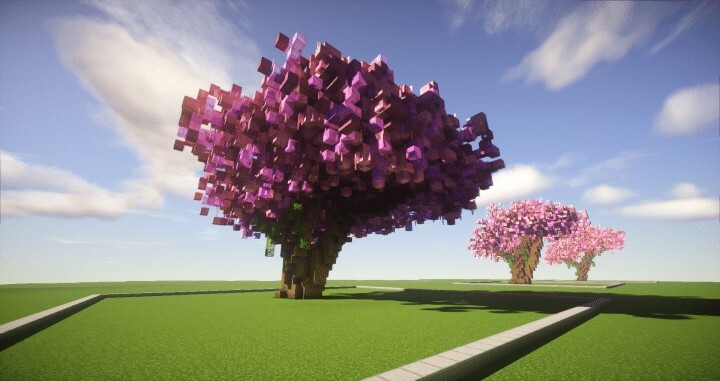 The trees in this pack are a bit organic. 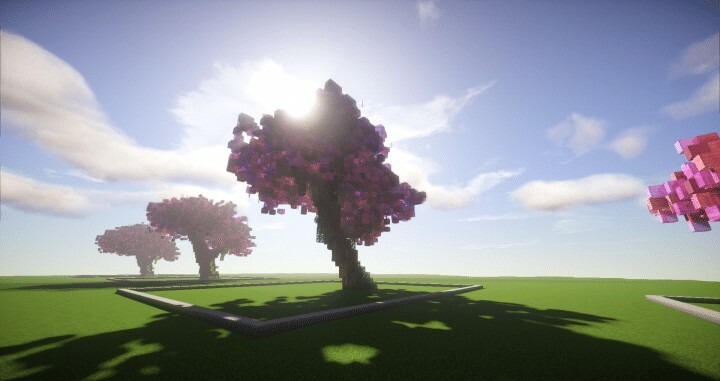 2 smaller trees, 4 normal sized ones and 3 big trees. This pack has lots of great uses. Working on a home or Japanese style build? Looking to give your office lobby or parking lot some color? This is the one you need! Below are the downloads for both the world and schematic. 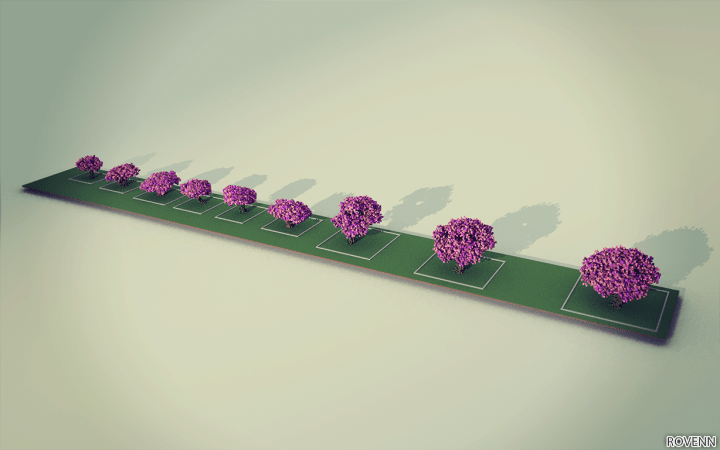 You can download the schematic or the world. 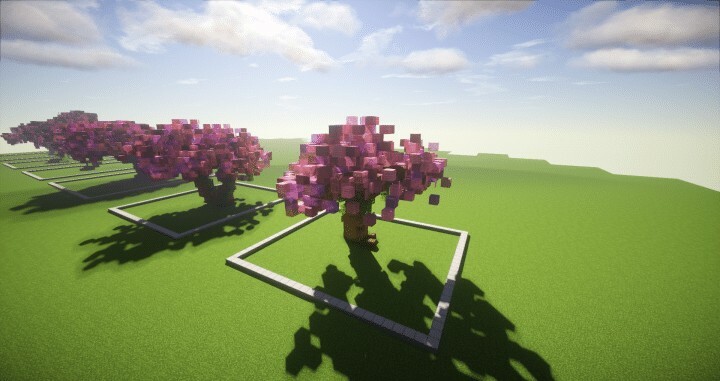 If you’re looking for some other alternative tree packs check out the Savanna tree pack or the random 56 bundle. 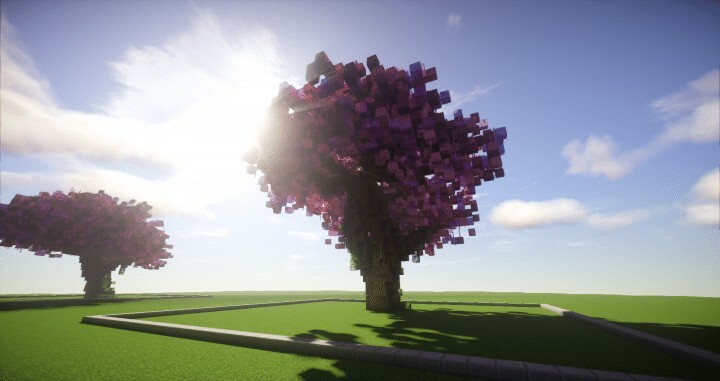 Plutouthere did a Cherry Tree Valley build incorporating a massive cherry tree if you’re looking for some inspiration.